Make sure that you are viewing the correct family record and click the Text button. 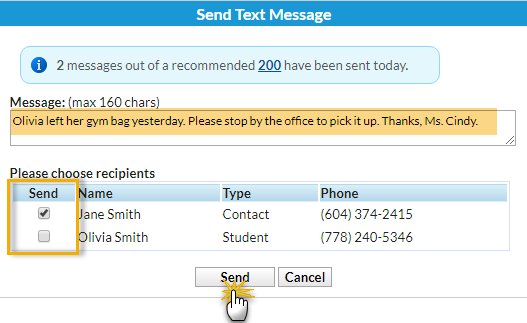 In the Send Text Message box, enter a message and check the boxes of the Contacts / Students you want to send the message to. When you see the Message Queued pop-up box, click OK.